Rotherham headquartered Harvest Healthcare; a leading manufacturer and supplier of high-quality healthcare equipment has changed ownership in a Management Buy-Out, led by Managing Director, Neil Davis. 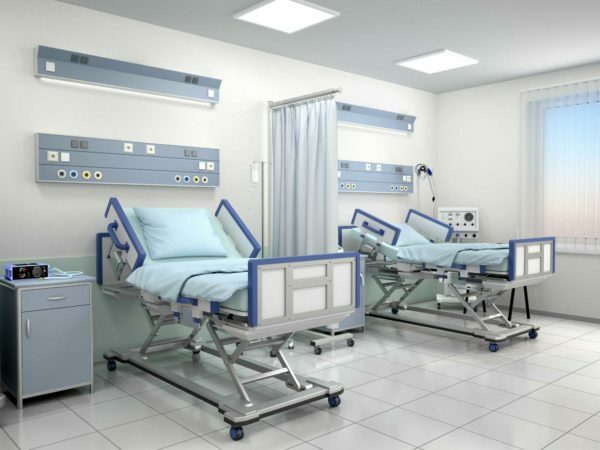 The company manufactures, supplies and services active & static mattresses and cushions, profiling beds, and moving & handling equipment to care home groups, community care equipment stores, and hospitals, both direct and via a network of distributors. Harvest have long term relationships with several national blue-chip care home groups as well as serving most local authorities around the country. Neil joined the company in February 2017, with a proven track record of growing businesses and driving out shareholder value. He has since transformed the fortunes of Harvest, delivering significant growth in turnover and profit, culminating in him being given an opportunity by the owners to put together a Management Buy-Out bid. Sheffield based dealmakers; Castle Square Corporate Finance provided corporate finance advice to the management team, leading negotiations on transaction value as well as deal structure, and also running the fundraising process alongside law firm, Keebles who provided legal services and advice. Castle Square is a mid-market specialist corporate finance boutique and has a proven track record in working with management teams to agree Management Buy-Out terms with business owners and deliver the funding for the management team via the debt and equity markets. Director Kevan Shaw and Patrick Lynch from the Castle Square Team led on the deal, running a structured process which resulted in HSBC being chosen to provide the necessary finance to complete the transaction. Patrick Lynch said, “It is fantastic to have advised the highly experienced and successful managing director and entrepreneur Neil Davis on the transaction. During the last 21 months Neil has been supported by the wider management team, in particular Finance Director Tim Woods, who has also provided tremendous support throughout the transaction. The buy-out gives Harvest the platform build on the recent success and continue to manufacture and supply innovative high-quality equipment supplied into multiple healthcare environments”. Sheffield head quartered Keebles (with further offices in Leeds and Doncaster) is one of the Yorkshire regions expert multi-disciplinary law firms, boasting legal services including but not limited to Corporate, Commercial Property, Employment, Intellectual Property, Debt Recovery and Insolvency litigation, across multiple sectors. Led by Corporate Partner Matt Ainsworth, the Keebles corporate team based at the Sheffield office provided legal advice and support to the management team on the transaction. Matt Ainsworth said, “We are delighted to have worked on this transaction. Harvest Healthcare is a great example of some of the fantastic businesses we have in South Yorkshire that local funders and deal advisory teams can support. We are confident that Neil and Tim will capitalise on the huge potential in the care sector to drive the business forward“. Following the structured debt fundraising process led by the Castle Square team, HSBC emerged as the preferred funding partner. HSBC’s Sheffield based Corporate team led by Chris Alsop, provided the acquisition finance on the transaction alongside working capital facilities. Chris Alsop said, “I am very happy to back this strong management team whom I am confident will take Harvest Healthcare from strength to strength’’. HSBC were advised on the legal aspects of the transaction by Dean Gormley of Irwin Mitchell’s Sheffield office and financial due diligence was provided by Sheffield’s BHP team, led by Don Gray. Peter Hollis of Hollis & Co provided specialist tax due diligence advice to management on the transaction.